I find that to be a successful homeschooling mom I have to teach with my heart and not my head or by listening to what other people think my kids should be doing. It's not always easy but when I put my kids and their needs first our homeschooling days go much more smoothly! I focus a lot on making family memories, finding new and neat places for us to visit and exposing us to new experiences. I encourage their passions, look for ways to encourage them and try not to worry about how different our curriculum looks from that of our local public schools. When they're having a bad day or a hard time I look for ways to make their day or their work a little bit easier. We'll stop a subject that's causing tears and play a game, turn to a different subject that they enjoy or just take a break from school altogether. I try to be caring and compassionate and hope that I'm teaching them to be the same. By focusing just a bit more on our relationship, their mood and development, and meeting them where they are (school- level wise) I hope that they'll learn that they are enough. Their best is always good enough. They are important and unique and have their own individual strengths. So true! And so often, in the busy-ness of hommeschooling, it is a dedicated and devoted heart that keeps us in the game! This was just what I needed today. Thanks. Homeschooling with the heart sure does make a big difference. Thanks for the reminder. Today was a tough day in our homeschool. Aw, sorry to hear that; we do all have those tough days. Hope tomorrow is better! This is so true! But it is also hard to resist being swayed by people who have to throw their two cents in about how you should be teaching your children. Thank you for the reminder! Reading this post about once a week towards the end of the week would help me keep my focus. Fabulous advice. I want every day of homeschool to really be a joy. That is my goal too; to find joy in the everyday. Glad you found this so inspiring! Great post! That's some things that I like about kids that are homeschooled - you can focus more on their interests than a "typical" school, and it's easier to switch between things sometimes. That is true. We have lots of extra time to really explore what interests them. It is so true that it just keeps changing and we modify as we go along. Thanks for stopping by and for commenting. I was sucked right into this post because daisies are my favorite flower - your title image just made me smile and feel all warm and loved inside. 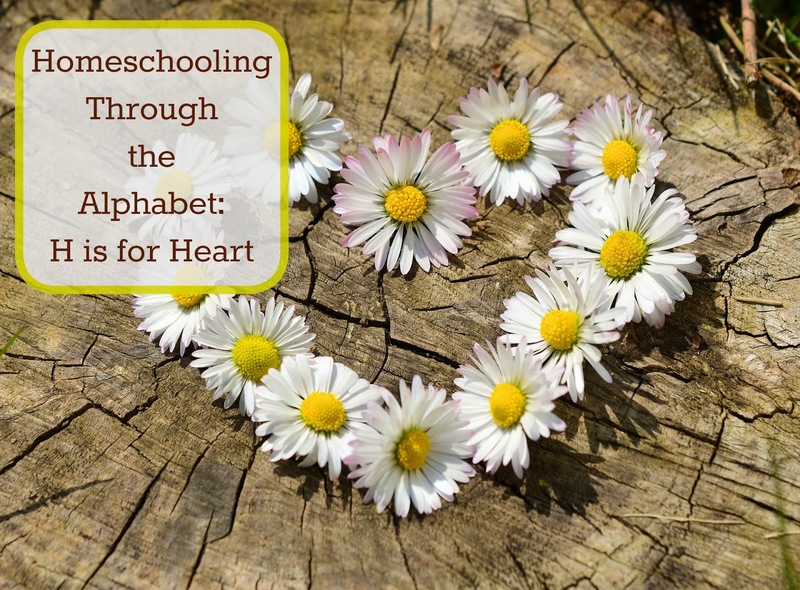 And then I read your words and am encouraged to remember the focus and and goals of our homeschooling journey - to teach to the heart. Thank you! Aw, thank you! That is so sweet to hear and you are more than welcome.